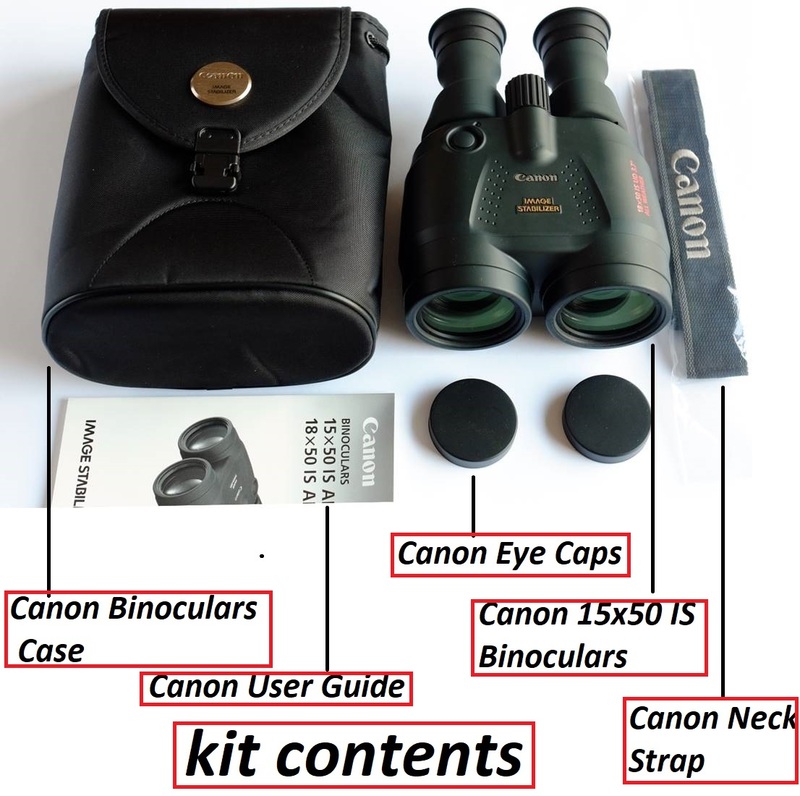 The Canon 15x50 IS, Weather Resistant Image Stabilised Binocular with its proprietary Vari-Angle prism (VAP) and electronic image stabilization system is an ideal optic for bird and nature watching, marine use or astronomical use. 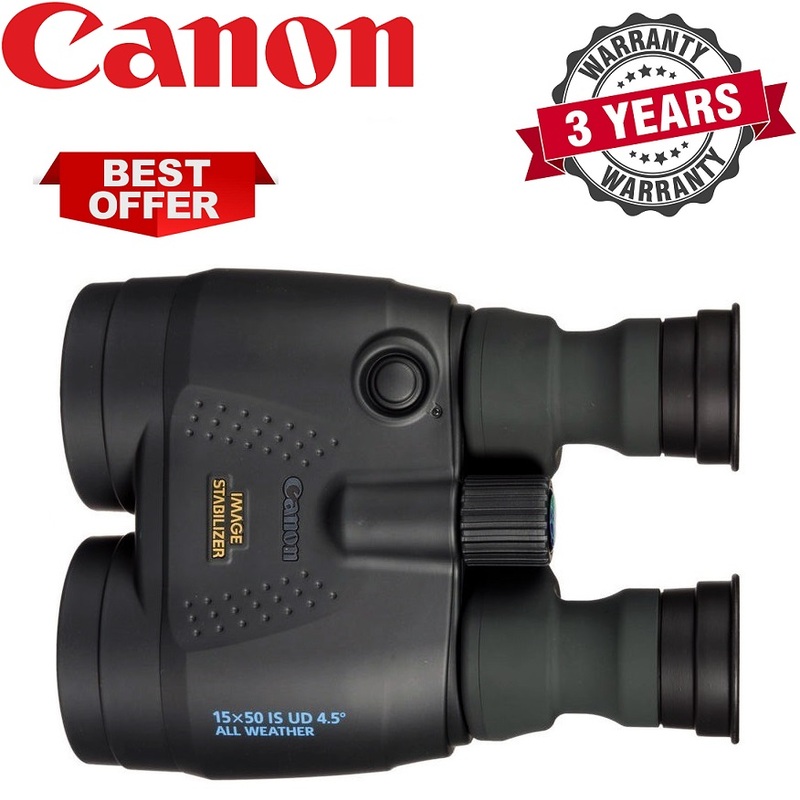 Its quick-response time and ±0.7° correction angle easily compensates for the common hand-shake that can make viewing through binoculars of this magnification difficult. A single-activation button located where the right forefinger naturally rests makes using them easy and allows you to concentrate on viewing without distractions. 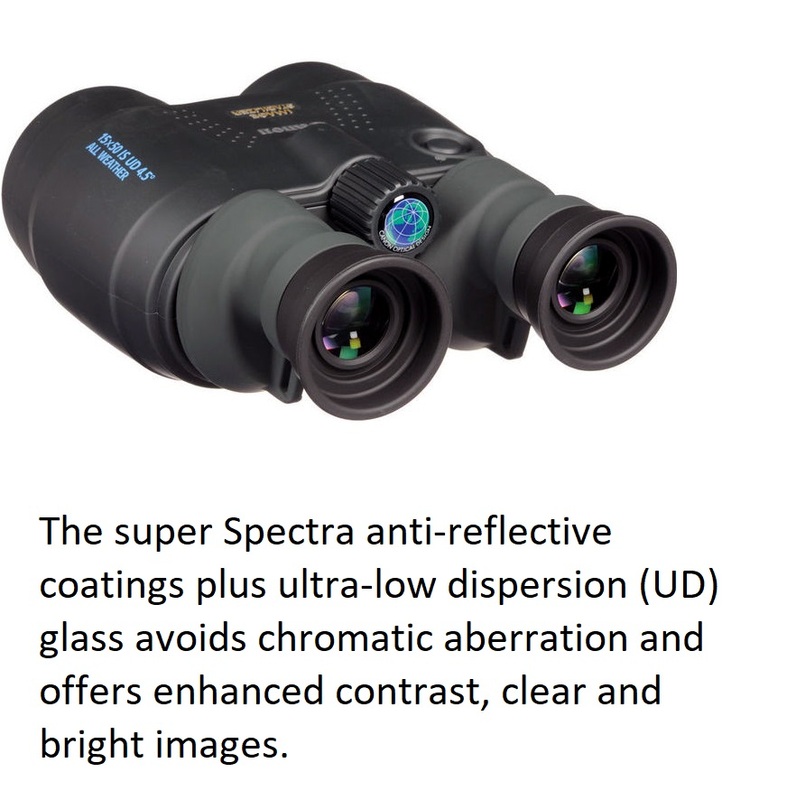 The super Spectra anti-reflective coatings plus ultra-low dispersion (UD) glass avoids chromatic aberration and offers enhanced contrast, clear and bright images. The rubber housing body provide slip-proof grip and secure handling even in wet weather conditions or in rain. 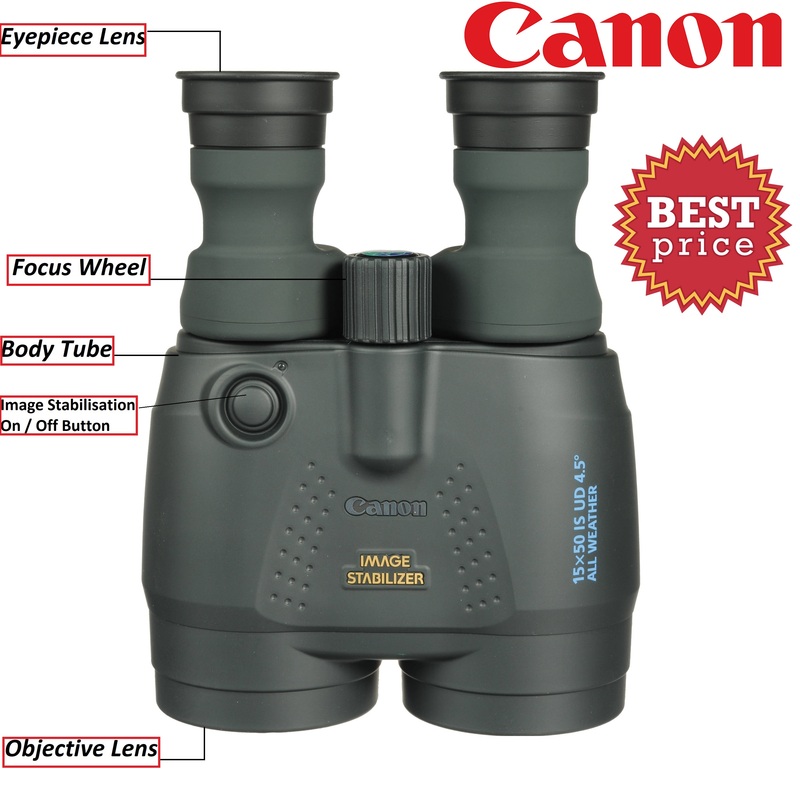 Features 1/4"-20 tripod mount to increase stability and to eliminate arm fatigue. 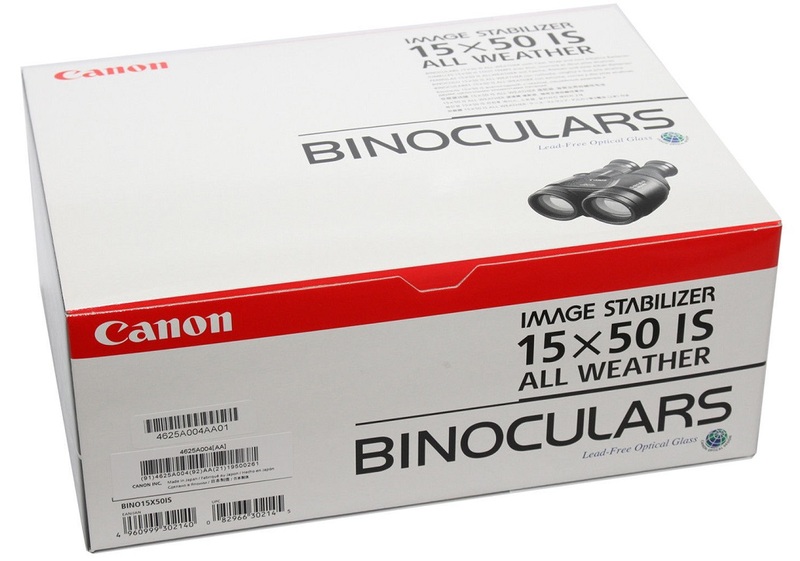 Dimensions: 19.3 x 15.2 x 8.1 cm / 7.6 x 6.0 x 3.2"
For more information about, Canon 15x50 IS, Weather Resistant Image Stabilised Binocular website.